Alexandrian-Greek and sometime stage actor khawaga Panayoti P. Petrou ran his all-year seafood restaurant as a family concern from 1909 until the 1930s with his father Nikos, and later, after WWII, with his wife Caliope Manolagas. Helping out were the traditional black and white clad waiters sporting wilting bow ties barely hanging round their scrawny necks. Although I mention the word restaurant, Petrou was originally licensed as a 'casino' meaning that once upon a time it was a dancing hall not unlike the other Greek-owned Alexandria casinos and cabarets: Athineos (C. J. Athineos), Casino Chatby (A. Coroneos), Excelsior (G. Michailidis & S. Petrar), Folies (A. Drikos), Grand Trianon (D. Pyrillis), Hollywood (Panayotti Dimitriou), Monseigneur (A. Pastroudis), Pyaramides (G. Tsangarakis), San-Giovanni (Moncroussos & Spirou). Yet unlike many of the above restaurants Casino Petrou was, for a while, also a pension "with several bungalows upstairs at the rear of the restaurant," recalls Eva Manolagas. Within walking distance from the legendary Casino and Hotel San Stefano, Petrou's no-frills seaside restaurant was located in the then-fashionable suburb of Ramleh (the sands), right at the base of a limestone cliff topped by Saray al Hazina (Palace of Sorrows--hence the name of the district "Palais" or al-Saray in arabic). 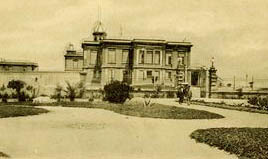 When she was not summering by the Bosphorus in Istanbul, the Alexandria saray was the transitory summer residence of the Walda Pasha (queen mother) Emina Ilhami, consort and mother respectively of Egypt's last two Khedives--Mohammed-Tewfik and Abbas Hilmi II. To be noted that Casino Petrou was originally called Casino Palais. The name change came about in 1939-40 when the nearby saray and its strategic grounds were converted into army barracks graced with a couple of large canons whose sole purpose it seems was to announce the breaking of the Ramadan fast at sunset. The palace building itself, now turned into army HQ, survived until the 1980s albeit in a sorry state. One comical item regarding the old palace was the mid-size trajectory canon protruding from the palace turret pointing at an empty sea! At first, Petrou's Restaurant directly fronted the sea. That was before the construction of the corniche, which once built was named Avenue Farouk before being renamed in 1953 Tarik al-Geish. The restaurant's prime location was both expedient and practical otherwise a comparable fare of fresh fish, lobsters and shrimps necessitated a much longer drive to Zephiriou (Tsaparis & Catsiofas) in the outlying town of Abou Kir of Napoloenic fame. It was there that a number of fish restaurants stood side by side all of them run by Greeks. Another long distance alternative was the Xenophon or the Sea Gull (S. Istropoulos) in the Mex-Dekhela region west of Alexandria, whose owners where also Greeks. Petrou's regular summer patrons in the '60s and 70s included leading intellectuals including playwright Tewfik al-Hakim, writer-poet Sarwat Pasha and future Nobel laureate Naguib Mahfouz. 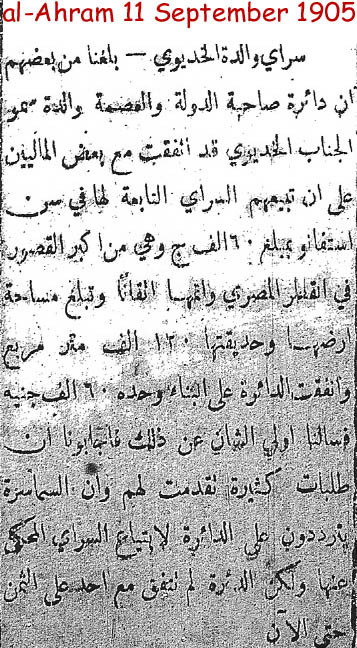 Also present were former cabinet ministers from King Farouk's days who congregated on the restaurant's terrace to reminisce the monarchy days and to openly criticize Nasser's totalitarian regime, which had Khawaga Petrou quaking lest the mukhabarat were within hearing distance. 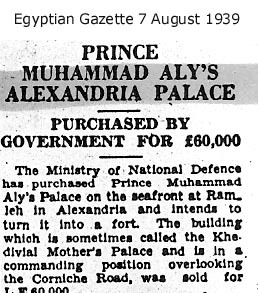 Casino Petrou did not provide outside catering except to the then-privileged adjoining 1954 pasha & bey-filled apartment building owned by Hassan Abdel Rahman (later Ali Chichini Bey) at No. 444 Tarik al-Geish. It was also at 444 that Panayoti Petrou's American relations would later occupy the first floor apartment. Following Petrou's death around 1960, his wife took over operations of the restaurant before she herself died from suffocation in 1968, when a truck carrying chlorine canisters overturned near the restaurant. Left without direct heirs to run the restaurant, Panayoti Petrou's brother in law, Nicolas Manolagas, arrived from Boston-USA with his wife Helen to take over the business. 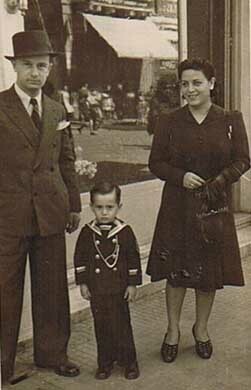 Since the Manolagas were already in their 60s, they were soon joined by their son Constandino and his young family in November 1971. A year later, Nicolas Manolagas's health took a turn for the worse when his leg was amputated below the knee, which meant he had to be carried each morning from 444 Tarik El Geish across Ikbal Street to his restaurant. "Within one year it became clear that the relocation of Petrou's American relations-my parents and my two sisters-was not going very well," recalls Petrou's grandnephew Constantine Manolagas. "In the Summer of 1972 we moved back to Boston. My grandparents, however, chose to remain in Alexandria until the late 70s before returning to the USA." The restaurant closed shortly thereafter. A few years later the adjoining cliff and its various superstructures (palace, barracks, canons) was razed to near sea level so that the entire surroundings would make way for a cluster of very ugly apartment buildings and shops owned by and for the benefit of the military establishment. Many fond memories of my childhood. Makes me cry thinking about it. 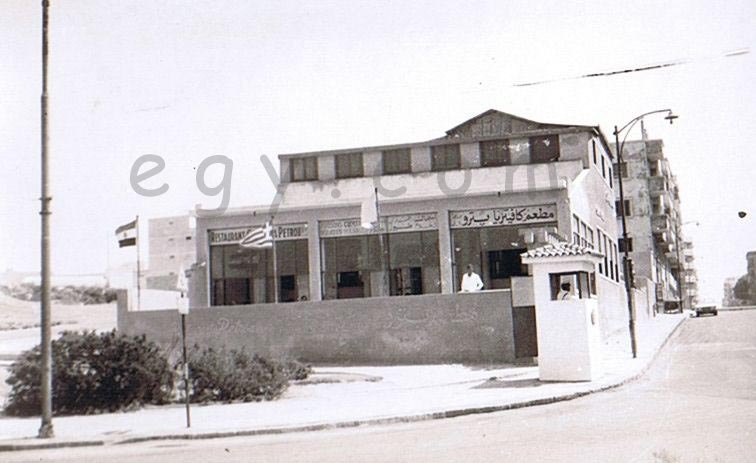 We used to have an apartment building in Sidi Bishr, at the beginning of what was called "Shara'a el Arman" because so many Armenians lived on the street or owned summer homes there. Today, nobody (not even the taxi driver) will know where to take you if you tell him "Shara'a el Arman". We spent 4 months of each summer in Alexandria and would return to Cairo in the winters because my father's job was there. We always dreamed of him retiring in Alexandria and spending the rest of our lives there. That never happened. I still remember eating at Casino Petrou, like it was yesterday, and often think about it and can taste the imaginary food, while sitting in some American coffee shop here in the United States. I don't know what I am doing here, when I miss every moment of my years in Alexandria. I used to hate fish (my mother forced it on me when we went to Alex, because she said "you never eat fish in Cairo, it is not fresh. Here in Alexandria, the fish is always fresh as it comes from the sea") The only fish I would eat was "LOUFER ISKARA" Greek style blue-fish at Petrou. My mom would chat away in fluent Greek (she came from Izmir), and would order it for me: it always had those delicious chopped red onions, parsley and lemon on it. Can't get it in the U.S. Have to keep imagining it and pretend-tasting it. Found out they call it "blue-fish" here. They chop the head off and fry it. They don't know how to cook it Petrou-style. The most popular fish restaurant in the U.S. is "Red Lobster", and the most popular-style of cooking is deep fried... I really miss all those wonderful Greek restaurants, of course breathing in the Mediterranean air also helped... I can smell it now. THANK YOU for more great moments of nostalgia while reading your article on Petrou. My late father loved Alexandria and my family used to spend all summer vacation at Glymonopolo (Glym). He also loved walking, and used to take me and my older brother along for his afternoon walk on the corniche from Glim to Petrou and back (without stopping!). Many years later, continuing to go to Alexandria as frequently as I could, Petrou was my favorite restaurant. I loved its no-nonsense, unpretentious, and simple atmosphere, as well as its superb grilled fish!. Last year, I returned to Alexandria after an absence of some 30 years. My heart sank and tears almost clouded my eyes when I drove along the corniche and saw that Petrou was no longer there. All the best.